Ok… so remember that app that randomly phones people so you can pretend to be their boss (and vice versa)? Welllllll… I finally got to try it out because they released the Android version this week! Within an hour of downloading it on my phone, I got my first call from my new boss. I don’t want to spoil it by sharing my experience because it’s really something you should try for yourself. Maybe *you’ll* be MY boss! P.S. Have you ever been awarded a blue ribbon from me? Write me to tell me which one you got and I’ll share a story with you. This is not a real kitchen, this is Kitchen by artist Liza Lou. 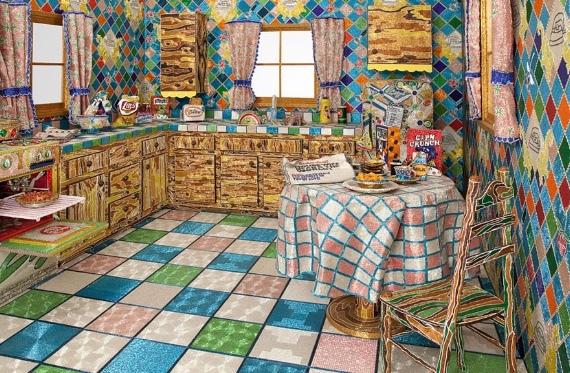 It’s a life-size replica of a kitchen covered in millions of glass beads! :: Who owns the Statue of Liberty? Oh, just wait until you hear the story. :: Baby Dino on the loose! 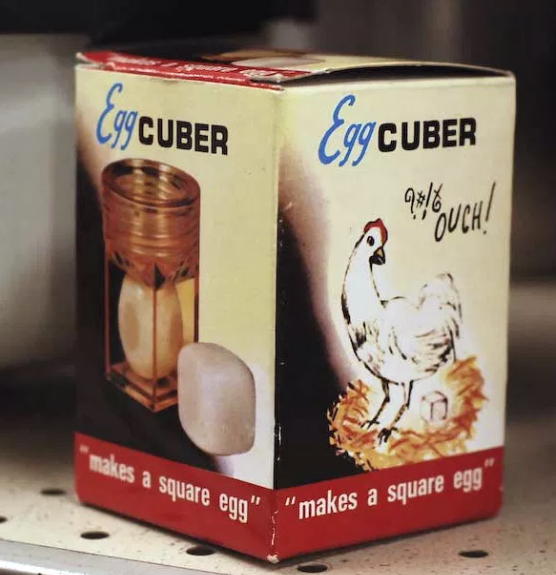 Remember the Egg Cuber? That device that shapes hard-boiled eggs into cubes? Here’s what its box looked like. Poor imaginary hen! 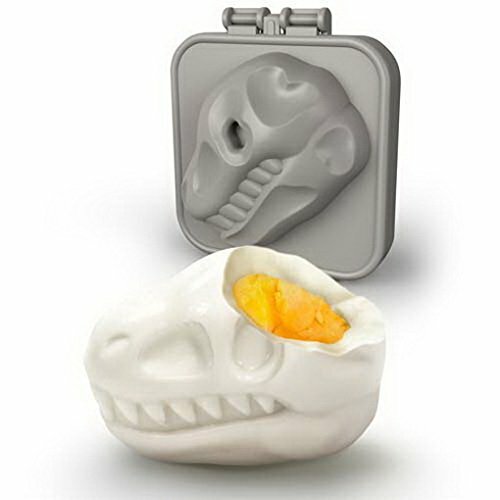 Well, there are now egg molds that do more than cube your eggs. I saw ones at Daiso that shape eggs into hearts or smiley faces. And now, here’s this dino head one from Fred & Friends. It’s called the Egg-A-Matic and it’s $7. 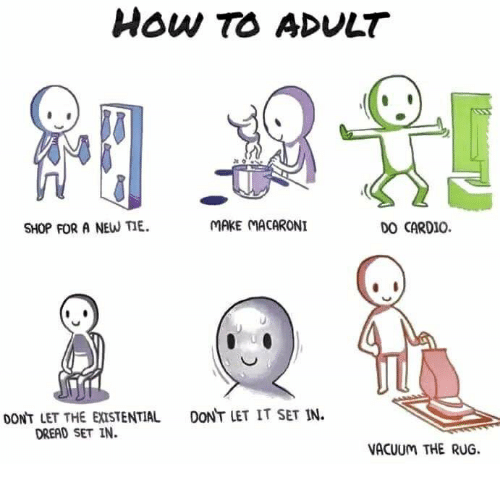 I kinda love it. 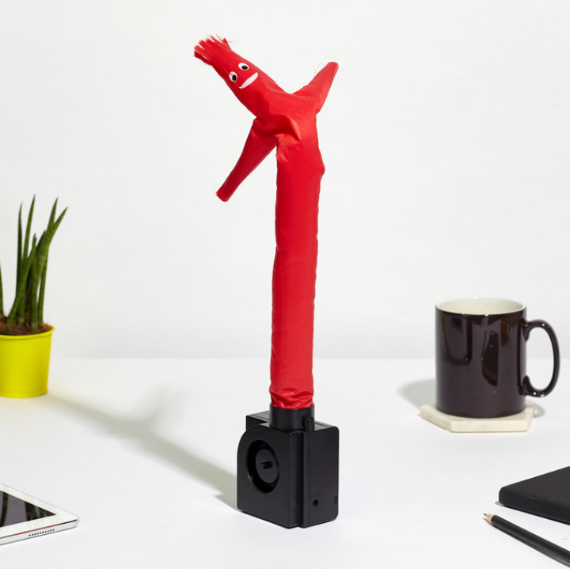 I have a new favorite desk toy: this mini inflatable air dancer! Sorry, I mean, Wacky Waving Inflatable Tube Guy ($7.51). It even comes with a little zine that tells the origin story of the wacky tube man, aka The Tall Boy. 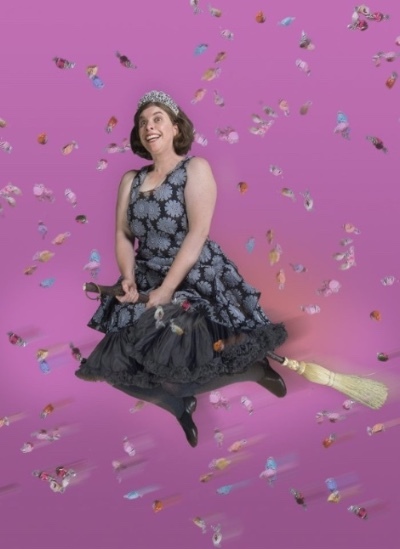 Excited to share with you that Lisa Rothman’s one-woman show is back and is headed to The Marsh Arts Center in Berkeley. You may remember it was listed here earlier this year thanks to a friend who tipped me off about it. Well, we went to see it together and Lisa’s performance blew me away. Go watch someone rock their craft! There’s still time to enter Albert Kong’s contest to get a $50 ticket to the event. Nov. 9th is the last day though, so hurry!